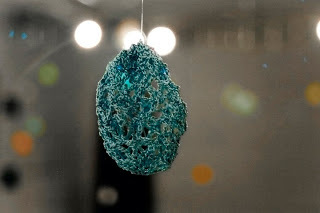 Falling (2003) is an installation made from intricately crocheted forms. I am taking inspiration from the handicraft of crochet and translating this process into a fine art context. 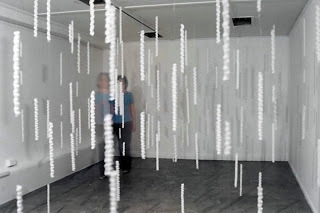 I am attempting to transform the John Paynter Gallery into a fragile space that makes the audience ponder their presence amongst the suspended forms. 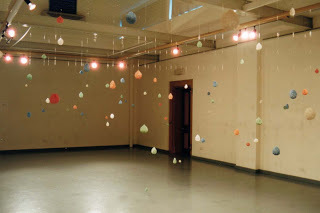 Falling (2003) was exhibited as my final BFA (Hons) exhibition at John Paynter Gallery.